I woke up to find myself snuggled up right next to my princess. She had molded herself around me. I loved it a bit too much. 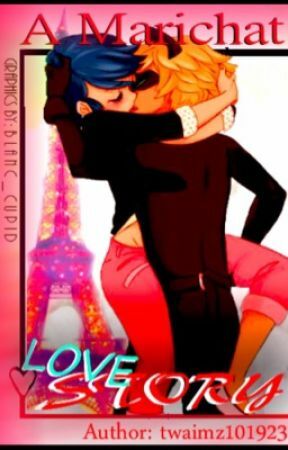 I am supposed to be in love with Ladybug I know, but she has never shown interest in me and has been rejecting me for as long as we have been partners as I expressed to Marinette last night. But Mari has responded to my feelings, and that is one of the best feelings in the world. And as much as I hated to admit it I was starting to fall in love with her. Then I saw her start to stir. "hey my princess" I said as I pulled her in for another kiss, I don&apos;t know where all this confidence is coming from but it was too late to stop what was about to come out of my mouth next. "I think I  love you Marinette"
"But what about ladybug I thought that you loved her, I&apos;m nothing compared to her. I&apos;m not heroic, brave, or beautiful" I cut her off right there I didn&apos;t like hearing how lowly she thought of herself none of it was true she was all of those things and more in my eyes. She said all of this while rubbing her eyes trying to get the sleep out of her eyes. I hadn&apos;t noticed earlier but she had changed out of her normal attire that she wore to school usually and changed into short pajama shorts and a T-shirt a matching pink outfit that suited her perfectly. And her hair was down, that was a sight I had never seen before and I felt lucky that I had the opportunity to see it. I had to shake my head to get my mind out of the gutter and focus on her to let her know how wrong she was about herself. "Marinette you are beautiful, strong, and talented never let anyone tell you otherwise. And it&apos;s not your job to be the hero, and if it was you would would make an amazing on at that. As for ladybug I&apos;ve showed interest in her countless times but she has always pushed me away. I really want to be happy and I only feel that with you princess, you accept me as who I am. So will you do me the honer of being my lady. 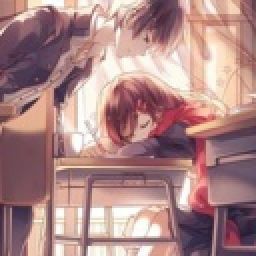 I know that it is sudden and I would never want you to feel as if you were my second choice because your not but I have been so blinded by Ladybug I never saw what was right in front of me. "Chat I know how you feel" as she started to give me her response I had taken note of the fact that she was fully awake now and that her eyes had started to water. "I know how  you feel because I too have been blinded by my love for someone else, I have tried for months for him to notice me but I cant even be myself around him. I know I would never have a chance with him. He and I live in two totally different worlds and it&apos;s unrealistic and has been since the beginning. So yes I would love to Chat. And like you I would never want you to think that you were  my second choice." she said with a genuine smile. I was so happy all I could do was being her into a hug and wish that I would never have to let go. "Thank you Marinette Thank you." As the days went on me and Marinette developed a system. I went to her house almost every day but I could tell at school she was having a hard time staying awake. I was used to it because I had been staying out for a while because of me being Chat Noir and Adrien I was used to being busy and having a lack of sleep. But Marinette was a normal civilian and from what I could tell she didn&apos;t do much else but go to school hang out with Alya and sew her clothes. And someone that beautiful needs there beauty rest so I started to come less often so that way she could get more sleep.
" My princess I&apos;ve decided to finally tell you who I am. I only hope you will accept this other side of me. Please Marinette don&apos;t be mad at me"